I believe that it is important to understand where other people are coming from in terms of differing culture, beliefs, and worldview. It can help foster respectful dialogue rather than talking past each other or yelling at each other. To that end, I picked up this overview on atheism. Just as no major religion is monolithic in its belief and practice, those who espouse atheism have a wide variety of arguments, beliefs, ethics, worldviews, etc. 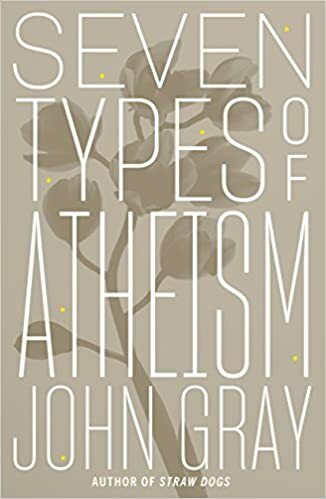 John Gray gives a guided tour of seven kinds of atheism, describing major proponents and beliefs of each category and pointing out its strengths and weaknesses. He strongly criticizes most versions, mostly alleging inconsistency via partial dependence on a monotheistic or even Christian worldview. He speaks favorably only of what he calls “Atheism without progress” (George Santayana & Joseph Conrad) and “The Atheism of Silence” (Arthur Schopenhauer & Benedict Spinoza). Obviously, the seven categories are Gray’s own generalizations, but they were helpful in getting an overview of a huge topic. As far as persuasiveness, some of Gray’s argumentation is pretty shoddy. For example, he summarily dismisses certain topics touched on by some atheists philosophers (e.g. Nietzsche & Rand) as “silly” without any further explanation, and his main argument against Christianity is little more than “there are much more likely explanations of who Jesus was than the one offered by Christianity.” Overall, this was a helpful overview, and that is what the author stated as his primary goal, so I guess he was successful in spite of occasionally lackluster arguments. Over the last few election cycles I have grown increasingly troubled by the manner in which many professing, Bible-believing Christians participate in the political process – as if the platform of their preferred party had equal authority with Scripture; as if showing love, gentleness, and respect to their neighbor is not an obligation when politics are involved; and as if their hope for the future depends on “the right people” being in office passing the “right legislation.” None of this seems spiritually healthy or consistent for a citizen of heaven who claims Jesus Christ as their Lord, example, and ultimate source of hope (Philippians 3:20-21). 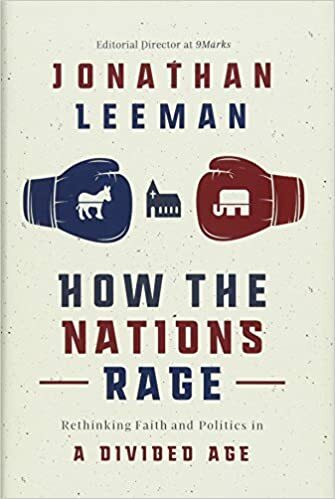 Rather than pushing a partisan agenda, Leeman warns us to “…be leery of being too captivated by any political worldview. Your tight-gripped principles should come from Scripture, not ideology” (p. 157). He reminds Christians that our primary identity is who we are in Christ according to the glorious Gospel of grace, lived out in fellowship with the local church. One of his goals “…is to encourage us all to stop letting our political parties set our political agenda. Even more, we should not conflate our parties with our faith. Parties are good servants, but bad masters; useful instruments, but awful identities” (pp. 116-117). He deals very practically with how Christians should approach and advocate for issues that are important to them – both issues that directly relate to clear biblical principles and ones about which individual Bible-believing Christians might disagree because they are based on logical arguments, inferences, pragmatic concerns, etc. rather than a single principle. An important part of this is the discussion on how we treat those with whom we disagree. For example: “If you participate in social media, does your tone edify or convey care? Or does it lambaste and belittle? How will it affect your evangelism? Our arguments should seek to persuade rather than to score points” (p. 165). I have another whole page of quotes that jumped out at me as I read this. However, rather than include them all, I will settle for urging you to read this book for yourself. As with any political or theological book, you probably won’t agree with everything in it (e.g. I thought he put a little more weight on Genesis 9:5-6 than it could legitimately bear), but it provides a much-needed biblical perspective on government and our participation in it. If you claim to be a follower of Jesus Christ, be guided by God’s Word, not a party platform or the combative, contemptuous attitude that prevails in today’s politics. 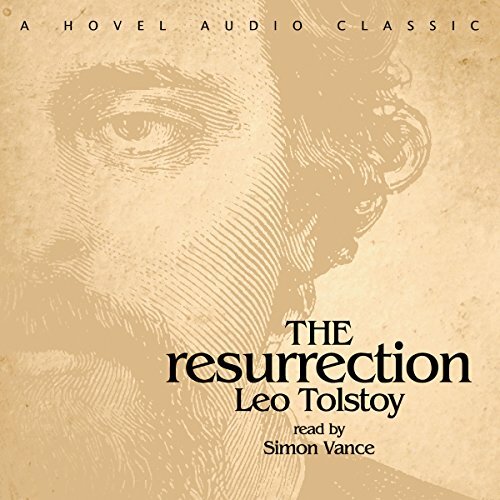 This book takes as its starting point a statement by T. S. Eliot to the effect that people are better off living in a Christian society than a pagan one. 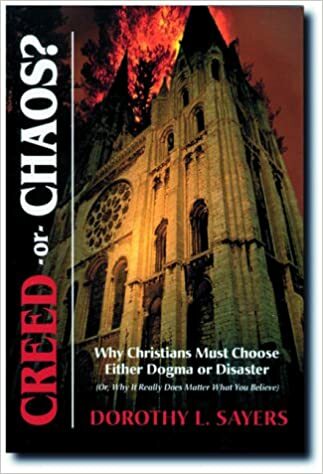 A hefty chunk of the book is taken up with defining what is meant by “Christian society vs. pagan society.” The author comes down on a basic definition of “transcendent religion (acknowledging or at least open to a God and objective ultimate good beyond the universe and in eternity) vs. immanent religion (finding ultimate good in this world and lifetime). He purports to show how these incompatible views have constantly fought to be the dominant view undergirding society. 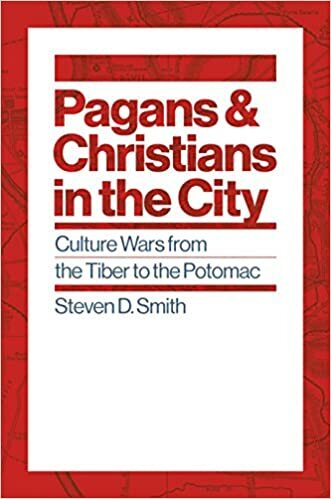 He starts with the early Christians in the Roman Empire and then jumps to modern Western civilization in general and the US in particular. He examines how each view shapes society, what kinds of conflicts arise (and why), the meaning of religious freedom for each side (I found the historical and legal issues related to this to be especially interesting and relevant), and a host of other implications. When someone talks as if they have discovered the key to understanding a massively complex issue, I take it with a grain of salt, but overall this was a thought-provoking book. The hysteria and paranoia that frequently underlie “culture war” discussions is replaced with calm, relatively even-handed description of both sides of most arguments. I don’t necessarily agree with the author’s sometimes vague conclusions (I’m deeply suspicious of trying to “Christianize” society, especially via politics), and the book is pretty lacking in the “how shall we then live?” element, but there’s a lot to chew on here. If you’re looking for an academic analysis of the “culture wars” without the usual hysterical rhetoric, this is worth reading. The first half of this book offers the author’s perception of the constantly-distracted, non-introspective-yet-identity-obsessed culture in which we live. 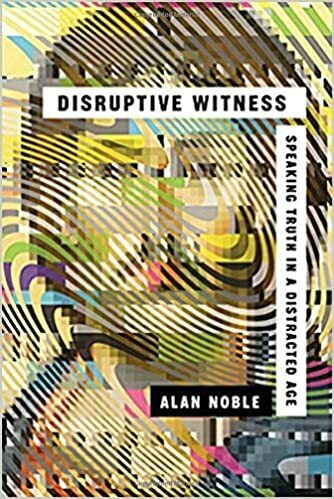 In this culture, says Noble, Christianity is seen as a collection of options in a buffet of more-or-less equal ideas, preferences, and opinions that I can adopt to express what I perceive as “the real me.” Noble desires some way to “disrupt” this “secular” way of thinking and make it clear that the Christian faith is a transcendent reality, that tells us who we are and our place in the universe (loved by God, deeply in need of his grace, etc.). Much of his diagnosis in the first section is insightful (or at least thought-provoking), but I was uncomfortable and bemused with much of the second half. To me, he comes across as nostalgic for his (Charles Taylor’s?) vision of pre-Reformation days when Christianity was generally accepted because it was imposed from the outside by “Christendom” and “the Church” (i.e. the Roman Catholic Church) who spoke with a unified voice. Throughout the second section, fidelity to Scripture (a major concern of the Protestant Reformation and the “noble” people in Acts 17:11) takes a back seat to promoting a sense of awe and transcendence. The primary ways he suggests promoting this disruptive awe are: prayer before meals, sabbath-keeping, and especially solemn liturgy with a strong anti-technology bias. He offers little or no biblical support for anything he says. To me, he communicates far more about his own “high church” sensibilities than he does about what is at the heart of the Christian faith and the sanctifying truth of God’s Word (John 17:17). Overall, I appreciated the thought-provoking perspective on society in the first half of the book, but was entirely unimpressed with his solution for effectively sharing the faith (and disturbed that the days of “orthodoxy” imposed by raw power should be idealized). 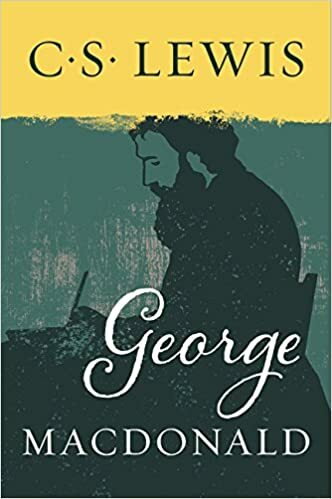 C. S. Lewis made no secret of the fact that he was heavily influenced by George MacDonald. In this slim volume he collected 365 excerpts from MacDonald’s writings. 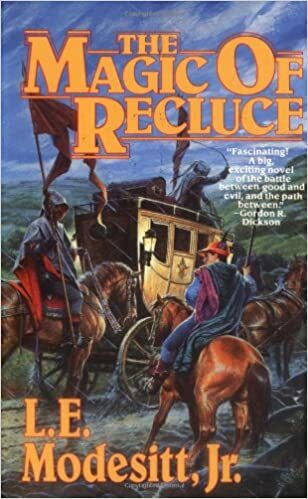 Most of these gems come from his (deservedly) lesser-known writings rather than his beautifully crafted fantasy novels which Lewis claims must be taken as a whole to be fully appreciated. The writings of Lewis (especially Mere Christianity and The Screwtape Letters) do indeed echoe many of these thoughts, though I would say that MacDonald has a more mystical bent and many of his ideas smack of perfectionism of a rather Methodist variety (a doctrine I find unsustainable both Scripturally and through observation of the real world). Overall, this is a great little book with many thought-provoking ideas. However, to see MacDonald at his best I’d recommend reading the two books of the Curdie series. This book also has a vague connection to C. S. Lewis as Dorothy Sayers is considered to be an associate of the “Inklings” literary circle. In this collection of essays she discusses the need of sound, objective doctrine over a more subjective “all you need is sincerity” approach to Christianity. I have previously admired Dorothy L. Sayers as a translator of The Divine Comedy and author of the Lord Peter Wimsey detective series, and I must say she is equally engaging as a theologian/philosopher. 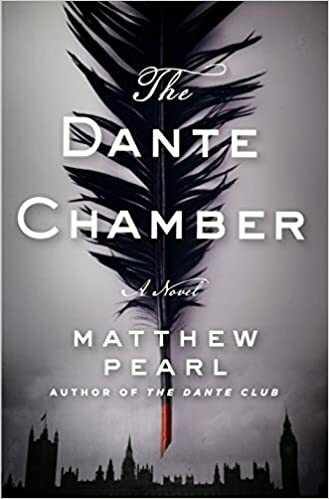 Speaking of The Divine Comedy, Matthew Pearl has returned to the world of his wildly popular The Dante Club with this sequel. Now people are turning up dead in London, gruesomely killed in ways reminiscent of The Purgatorio. Pearl’s main historical characters for this one are Christina Rossetti (and family), Robert Browning, and Alfred Lord Tennyson (with an encore appearance by Oliver Wendell Holmes). There’s lots of info-dumping of interesting historical tidbits about these people and fawning commentary over the greatness of Danté wrapped around a twisted mystery. It’s basically the exact same formula as the first one and as such felt a bit played out…for me it was only okay. “Only okay” brings us to our next book. I found The Magic of Recluce to be pretty disappointing and almost DNFed it a couple times. The main character is a sullen brat who constantly complains about being bored and whines that no one tells him the answers to his questions but zones out when given the opportunity to learn anything important. The plot is a wandering “find yourself” narrative where mister whiney-pants suddenly makes huge deductive leaps, vast progress in his skills, or sudden increases in maturity seemingly at random. At the end he’s a better person but it all felt pretty haphazard. The Order vs. Chaos dynamic of the author’s world is interesting enough that I’ll give the next book a shot, but it had better be a whole lot better than this one. This book is one reason I’m willing to give an author or character a second chance. I do not care for Hercule Poirot; I am annoyed by his smug manner and holding back information so he can make a big splash at the end. However, this book has one of the best twist endings ever in a “cozy” mystery, so it’s worth putting up with the smarmy little Belgian. Few topics in theology generate as much controversy as how to reconcile divine sovereignty (God’s ultimate control of all things) and human moral responsibility. 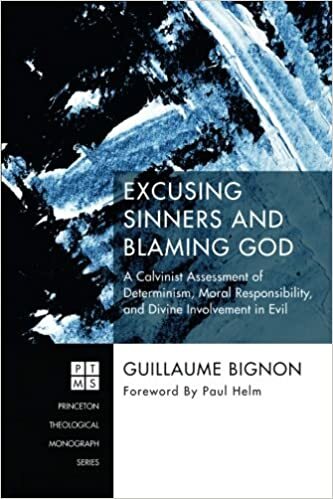 Rather than trying to limit or explain away divine sovereignty (as in Arminianism or Open Theism), Calvinism views soft determinism as compatible with moral responsibility. Soft determinism or compatibilist free will is the idea that the human will is free in that a person will choose to do what they most desire, but bound in that a person’s desires are caused by factor(s) beyond their control (ultimately by the decretal will of God in a Christian worldview). This book offers a rigorous logical defense of determinism’s compatibility with moral responsibility and with God’s holiness. This is a highly academic book in which the author makes heavy use of formal logic. I took formal logic back in high school, but that was 20+ years ago, so there were a few places where he pretty much lost me when he started using symbolic expressions. Overall, I think that the author demonstrates his system to be internally consistent and points out some possible logical problems with alternate systems. Enter at your own risk, but if this topic interests you, this is well worth reading. For a more popular level overview of the topic, I highly recommend What About Free Will by Scott Christensen; you can find my review of it here. 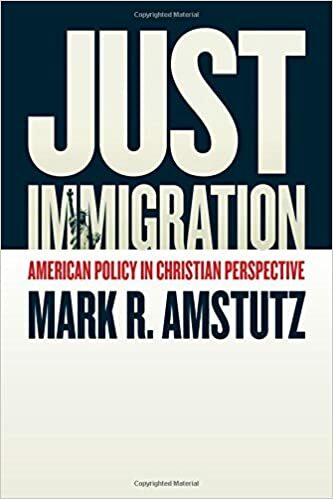 Mark Amstutz addresses the issue of how a Christian’s faith should impact their approach to immigration reform with a plodding academic approach. I don’t necessarily mind meticulously dissecting a topic, but a lot of this book felt redundant with little positive payoff at the end. For the first hundred pages or so the author describes and evaluates the state of US immigration policy and practice. This was probably the most informative part of the book as it provides a good look at the complexity of the issues and viewpoints involved. Churches should focus on teaching people a moral framework of general Scriptural principles that can be used to evaluate the moral aspects of immigration law rather than lobbying for specific policy changes which should be left up to those who actually understand political science. The main Scriptural principles that apply to issues of immigration are the dignity of all human beings, compassion for the stranger, and obedience to legitimate authority (with the first two frequently overemphasized to the neglect of the third). On pages 230-232 the author gives us a bare-bones summary of his take on various moral/ethical issues discussed throughout the book…if he had focused more on this than on showing how everyone else got it wrong I think this would have been a much more profitable book. 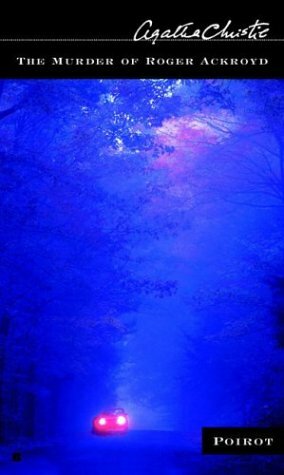 Title: When Is It Right to Die? 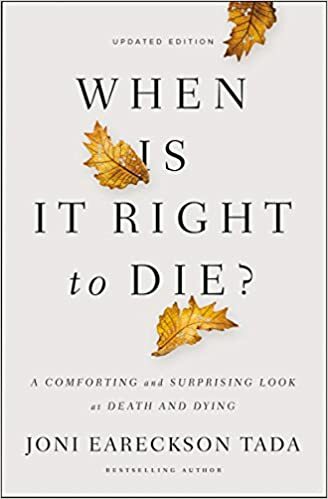 In this book, Joni Eareckson Tada compassionately examines the subject of euthanasia (or whatever other “death with dignity” term you prefer). She isn’t primarily a theologian or philosopher, but a lovely Christian woman and advocate for the disabled who has spent the last 50 years as a quadriplegic. She speaks gently, making use of examples from her own life (both personal struggles & advocacy experience) and the lives of others who have reached out to her, stories that garnered national headlines, medical data, legal decisions, and spiritual guidelines from the Bible. She asserts that the intrinsic value of human life calls for “sustaining life, but not prolonging death,” and freely acknowledges that often “knowing the difference isn’t easy.” Her overall approach is both wise and compassionate, overflowing with empathy and concern for the emotional and spiritual well-being of those who are suffering and offering practical advice in approaching difficult potentially-end-of-life situations. Overall, you might be able to find more theologically/philosophically rigorous books advocating the same position, but the personal element in this book makes it a good place to start.